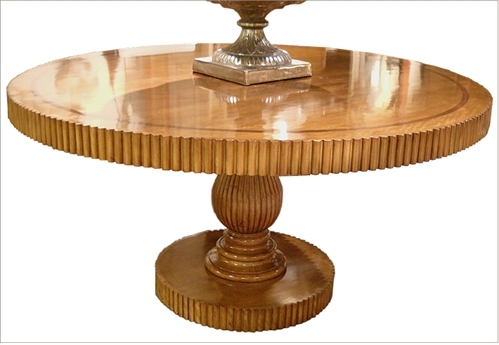 The Fleurie Dining Table is an original design by Joann Westwater. 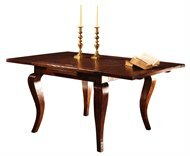 The table is made of solid avodire and figured avodire veneer with an inlaid top band of solid walnut. Each piece of beading is hand applied and the whole is finished in a warm walnut finish with a polished gloss surface. Custom sizes, woods and finishes are available.